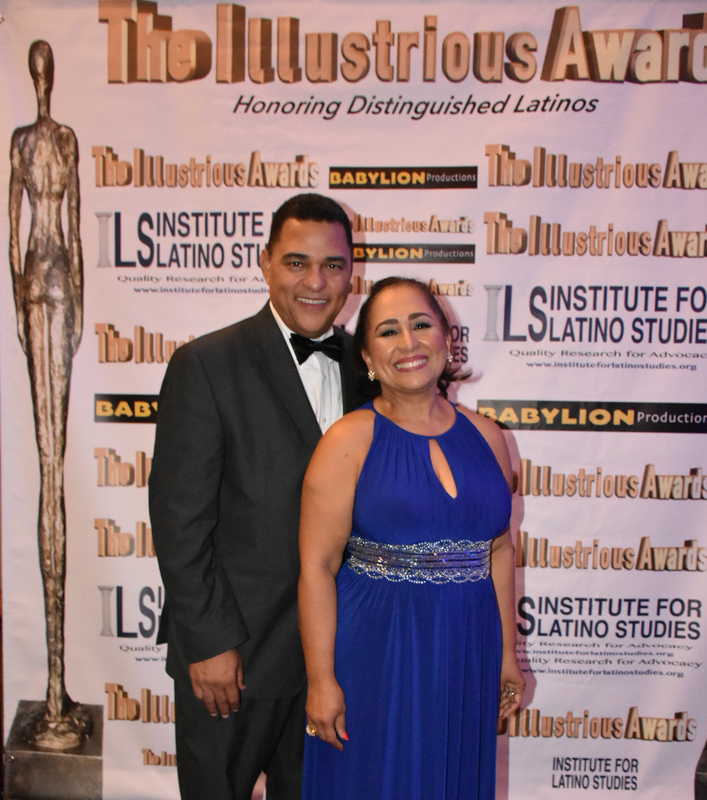 On a unique night of splendor, the Institute for Latino Studies (ILS), dedicated to quality research for effective advocacy, honored distinguished unsung Latinos healing from varied professions. Cameras captured honorees and guests as they walked on red carpet and into the welcome cocktail reception. As toreadores of their own live stories, honorees marched proudly into a packed auditorium to the magistral rhythm of La Virgen de la Macarena, played live by solo trumpetist Eganam Segbefia. 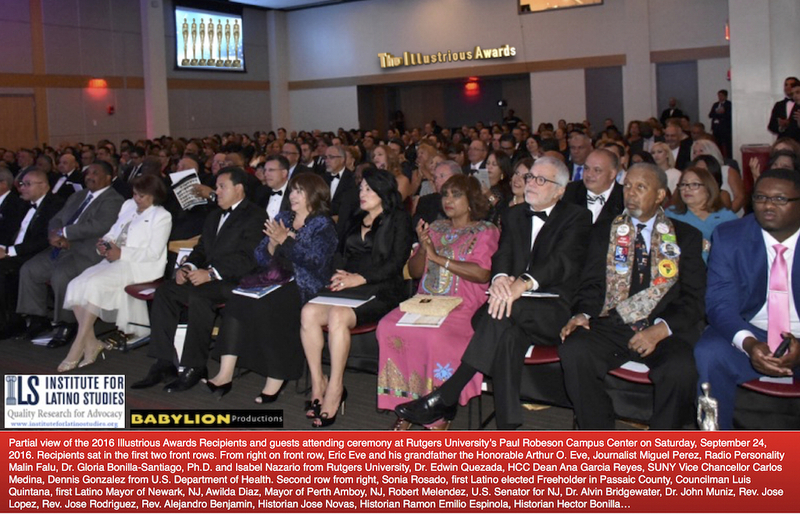 They made their grand entrance into the auditorium of Rutgers University’s Paul Robeson Campus Center in Newark, NJ, holding their heads high and their chest swollen with pride. The formal black-tie ceremony begun promptly with welcoming remarks by ILS President Dr. Maria Teresa Montilla. 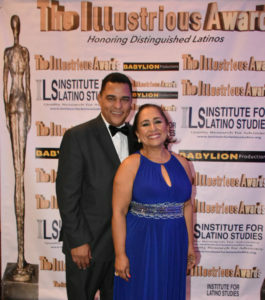 She explained the making of the Illustrious Awards was based on primary research and dossier in the archives of the Institute for Latino Studies. The ceremony was an interactive two-hour pre-produced audio-visual presentation depicting Latino contributions to the United States. Each honoree’s life story, accomplishments and contributions were highlighted on five screens set in the auditorium. 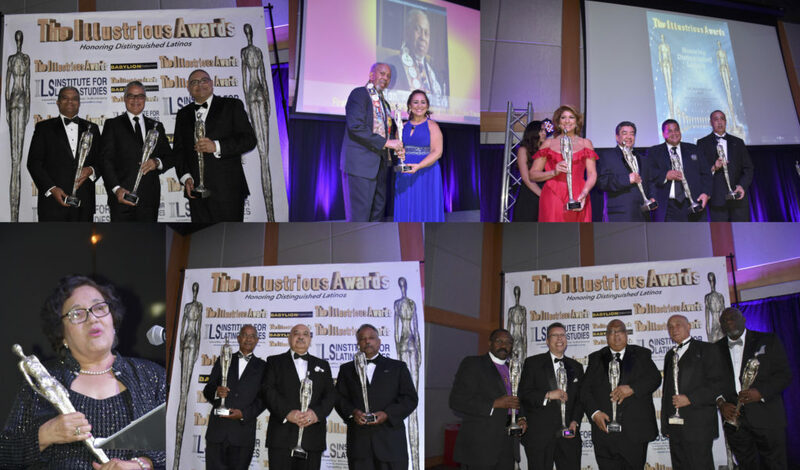 Lifetime Achievement Awards were presented to Honorable Arthur O. Eve, First Dominican Elected to Public Office in the United States, Jose Rohaidy (Posthumous), Cuban Dean of Journalism in New Jersey, and Maria Magda O’Keefe, First Latina & Puerto Rican Elected to Paterson City Council. 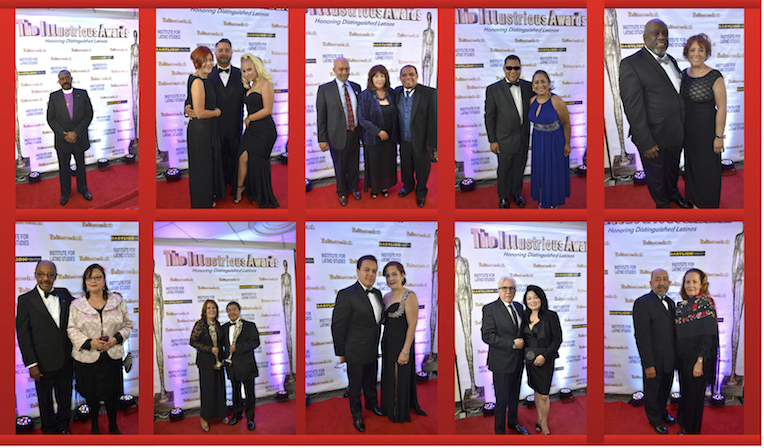 “This was a historic night,” said honoree Jaime Lucero after receiving an Illustrious Award in the Business Category for his success and contributions in corporate management. I cannot pass this opportunity to thank you and congratulate you for conceiving, organizing and perfectly executing the first Latino Studies Institute’s Illustrious Awards. 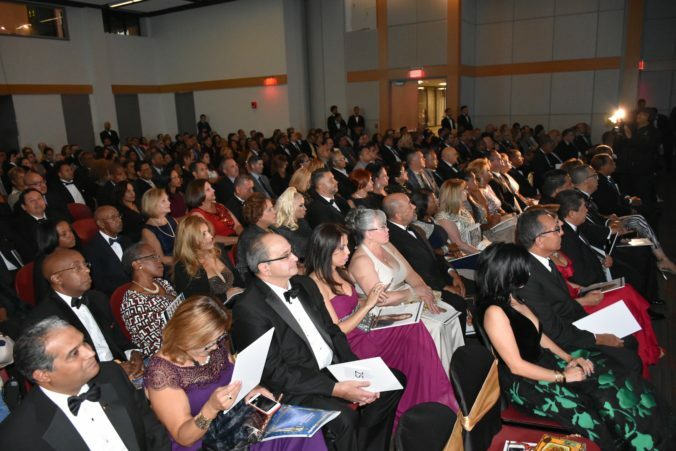 I was not only lucky enough to be one of the recipients of the Awards, but to witness a flawless documentation of the great contribution Latinos have made to the American nation, even before the foundation of the United States of America. As a scholar of Latino studies, I was impressed and will be eternally grateful to you for making me part of it. Back then and now, the Latino community has been an essential component in forging this nation while enduring its own cultural heritage by breaking barriers. With you work, you are helping tell and document the story for generations to come. Nestor & Maria Teresa Montilla. The second and third installments of the Illustrious Awards have been scheduled for 2017 and 2018. Special thanks to Corinthian IPA, Columbia University Medical Center, Evelyn Padin, Esq., Rutgers University, Gold & Silver, Inc., El Especial, Yonkers, NY Board of Education, CUNY In The Heights, North Jersey Federal Credit Union, LA Riverside Insurance Brokerage, Inc., Association of Jesus Christ of the New Covenant, New Jersey Center for Empowerment and Community Development, The Pentecostal Church Assembly of God, Trenton, Fairleigh Dickinson University, New York Hispanic Cosmetology and Beauty Chamber of Commerce, Councilman-at-Large Luis Quintana, Hon. Wilda Diaz, Mayor of Perth Amboy, NJ, Berkeley College, Fernando Alonso, Esq., Marcos Charles, MD, 512 Quantum Sound, Hispanic Multi-Purpose Center and Babylion Productions, LLC.